Jaslyn started her career in her student days, selling baked goods out of a tiny studio apartment in London. 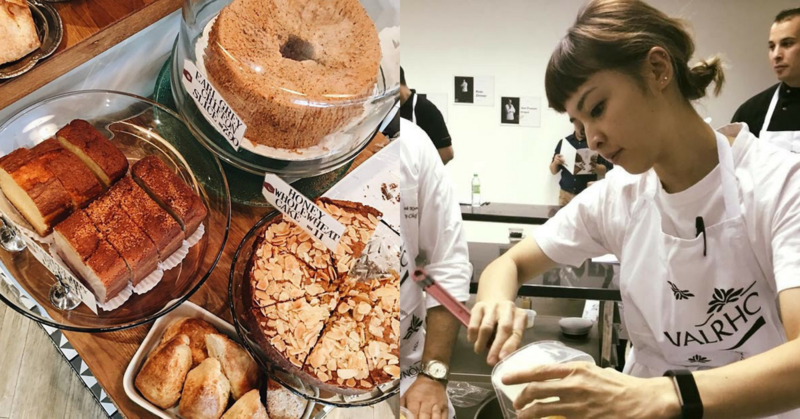 This led her to finally opening her own café in Bangsar in 2014, where she had to hustle every day to do everything from baking to serving customers. Now, Jaslyn serves as more of a facilitator and recipe creators. She has even launched another dessert store that runs next to her first one. When Jaslyn Rangson launched her first restaurant in 2014, it was only her and her then-boyfriend running the entire operation—from baking to handling the front of the store. In her final year of university reading Economics in 2010, Jaslyn started selling cakes, cookies and bread from a tiny studio apartment in London. 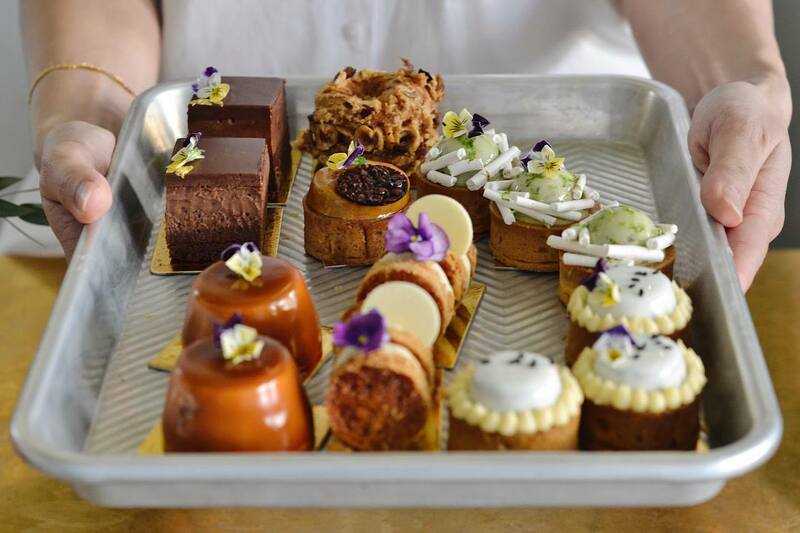 Her interest in desserts brought her to a year in a few culinary internships, including a few cafés, a hotel, and even one Michelin-starred restaurant when Jaslyn was still a student in London. 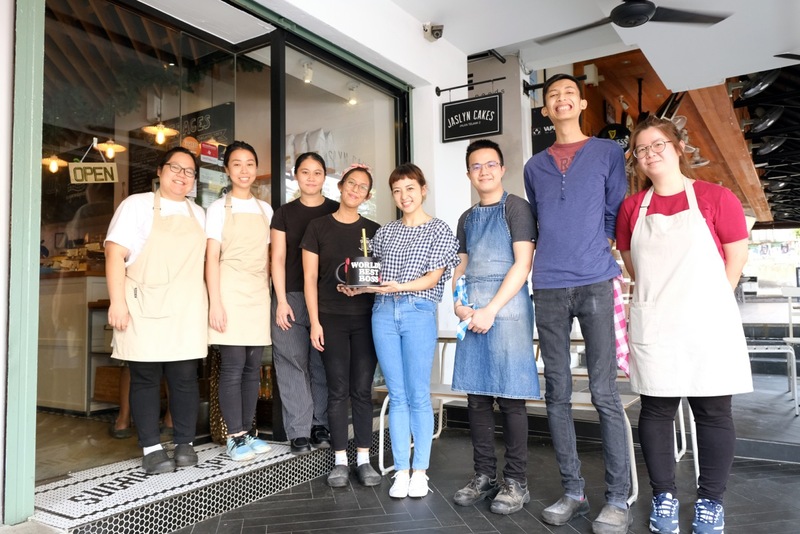 It was in these stints that she learned not only how to make desserts, but also the crucial business side as well—particularly in café operations and baking style. When it came time to start her own business however, Jaslyn still had to start from scratch. This was all in service of a simple goal: she wanted Jaslyn Cakes to sell homey flavours with a more rustic appeal, like butter cakes and cookies, displayed with only a minimal flourish, and wooden colours abound. And she wanted all of this in a café that oozes coziness and comfort, so that patrons can gossip, catch up and just chat over plates of simple, yet indulgent cakes. 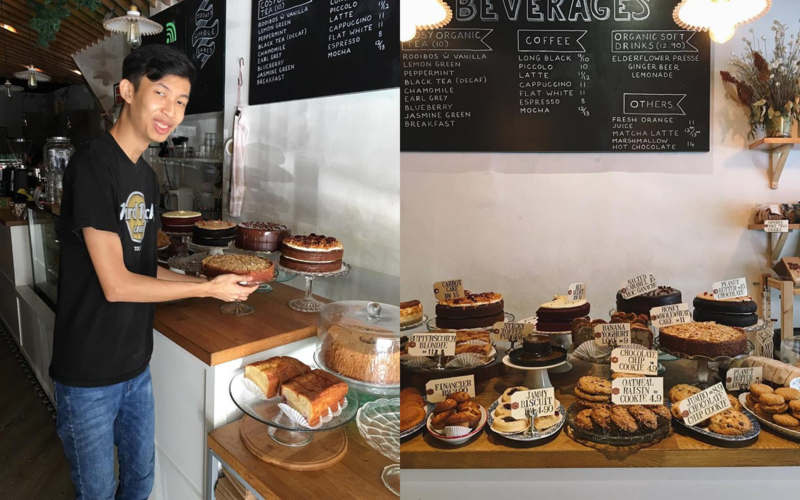 Since its launch, Jaslyn Cakes has launched the founder herself into something of an influential entrepreneur among F&B operators, and Jaslyn Cakes is a well-known staple among Bangsar foodies. Jaslyn attributes their popularity to simplicity—a down-to-earth style that customers can relate to. When the neighbour store moved out, Jaslyn saw an opportunity to sell the kinds of delicate pastries that she couldn’t under Jaslyn Cakes. 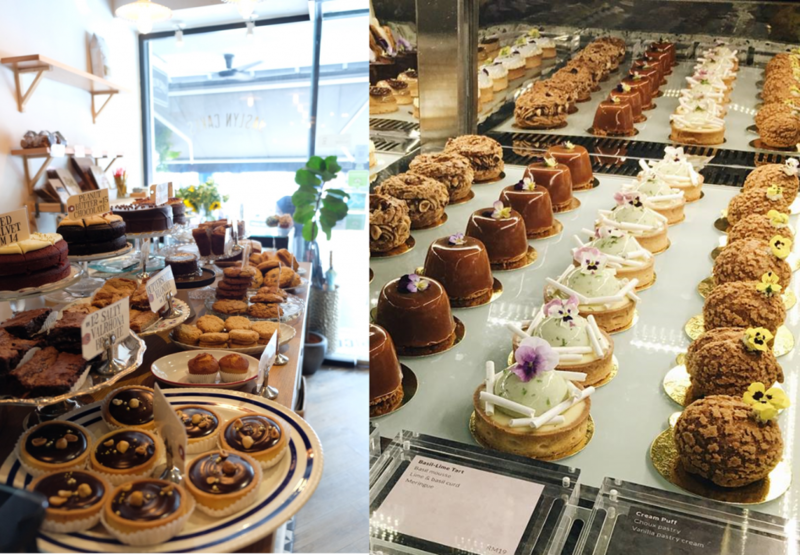 So they bought the neighbouring space, but instead of expanding Jaslyn Cakes, they launched a different type of dessert store altogether, selling more “refined” and petite delicacies. 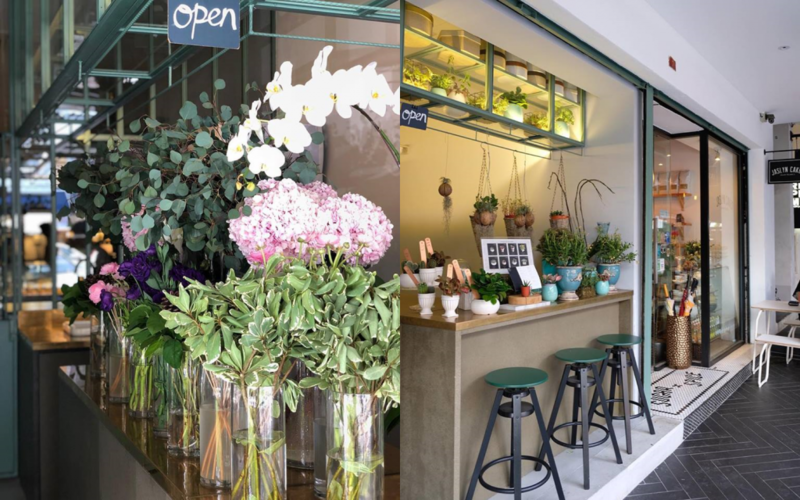 “We wanted to create a sweet, little secret oasis in Bangsar, tucked away behind a florist,” said Jaslyn. To that end, the design of Dew was heavily inspired by nature—with green colours, natural terrazo stones, and greenery all around. “To be honest, I’ve never been not much of a planner! I do things that feel right and I go with the flow,” said Jaslyn. Unlike the homemade appeal of Jaslyn Cakes, Dew serves as a bit of a pet project for Jaslyn and two other friends—giving off a more floral, Insta-happy space full of lush greenery, and desserts with lots of colours and natural flavours. Since her earlier hands-on startup days, Jaslyn, now 28, serves as more of a facilitator these days. Instead of busying her hands with day-to-day operations, she is able to spend extra time developing and researching new recipes and flavours to introduce in her two stores. “Our bakers, baristas, managers, front-of-house team and even part-timers are the real wheels that keep this train moving! I’ve always said this but I always feel extremely lucky that we have such a great team, and the main challenge now is to keep everyone motivated and feel appreciated for their work,” said Jaslyn. Apparently, running one store is not so different from running two. In the end, Jaslyn feels like running two stores simultaneously comes naturally, especially since they have the same suppliers, and the two baking teams are familiar and friendly with each other. “And physically, the shops are right next door to each other! I am able to be present at both, and I am also lucky to have a great team who are understanding and also independent,” said Jaslyn. Other than that, she’s your average F&B entrepreneur. As such, the usual difficulties apply: balancing cash flow, staffing, and customer service. But this is in part due to Jaslyn’s zeal for getting a “great team together”, and keeping them happy. Like any other entrepreneur, running her stores is always on her mind, even when Jaslyn isn’t in the store—what they need to do next, what’s the next event, or the upcoming festive occasion, among other considerations.